The San Felipe de Austin State Historic Site preserves a portion of the townsite of San Felipe de Austin. Founded in 1823 by Stephen F. Austin, San Felipe de Austin served as the capital for the colony Austin established in Mexican-owned Texas. His San Felipe house, Austin wrote in the last few weeks of his life, was the only Texas home he had that he could call his own. 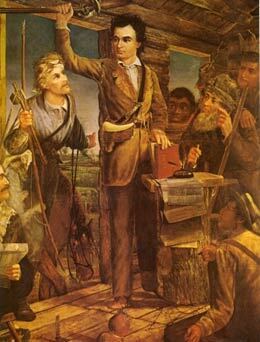 Stephen F. Austin had the single greatest impact on the history of Texas between 1821 and 1835. He initially served as the political, military, judicial and economic leader of his colony, and later helped form elected local government based in San Felipe. As empresario, or land contractor, to the Mexican government, Austin oversaw the distribution of almost 6 million acres of land in Texas from his San Felipe land office. His first contract allowed him to bring 300 families from the United States—a group termed the "Old 300." Four more contacts authorized Austin to settle an additional 1,700 families. These colonial land grants began the most rapid and significant transformation of population and land use in Texas history. Located at the Brazos River crossing of the Atascosito Road that connected San Antonio to Louisiana, San Felipe de Austin became the second largest town in colonial Texas. Its stores offered merchandise imported from the United States, and inns and taverns provided lodging and meals for residents and travelers. Artisans—blacksmiths, gunsmiths, watchmakers, hatters, tailors, cobblers, and tinsmiths, and bakers—served the community from their San Felipe shops. Community buildings included a school that also housed Texas' first Sunday School, a log store building reused as a Catholic church, and an unfinished hotel occupied as the Town Hall. The Texas Gazette began publication in San Felipe in 1829 as one of Texas' first newspapers, and the first book ever published in Texas came from its press that same year. Other empresarios established additional colonies in Mexican-owned Texas, but San Felipe remained the primary seat of government. Between 1832 and 1835, the "People of Texas" met in convention three times at San Felipe to protest Mexican policies and eventually consider breaking free from Mexico. 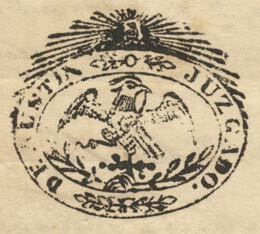 The evolving government of Texas ruled from San Felipe for five months of the seven-month-long Texas Revolution. This provisional government worked to unite the colonies, organized the army, established what would become the Texas Rangers, and initiated a postal system for Texas. 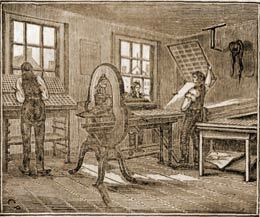 The San Felipe print shop of Gail Borden published the Telegraph & Texas Register and some of Texas' most famous documents that rallied support for the Texas Revolution in 1835-1836. San Felipe served not only as the political center of the Texas Revolution, but also in a key military role. Santa Anna's Mexican army defeating the Texian troops at the Alamo commanded by San Felipe attorney William Barret Travis in March 1836. Santa Anna ordered his armies to converge on San Felipe. 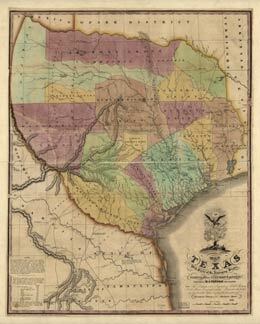 The Texas army commanded by Sam Houston fell back to San Felipe, and Houston ordered a further retreat toward the east. Moseley Baker and the San Felipe militia refused to abandon the town, so Houston ordered them to defend the ferry, and—according to Baker—burn the town. On March 29, 1836 the entire town of San Felipe de Austin was put to the torch. Unable to cross the Brazos River at San Felipe, Santa Anna and his army turned southward, ultimately crossing downstream at Fort Bend. The two armies of Houston and Santa Anna would meet two weeks later at San Jacinto, and Texas independence was won on the battlefield. San Felipe never regained the same prominence following its destruction in 1836. Some of San Felipe's colonial residents returned, but many did not. Despite rising slowly from the ashes, San Felipe remained a governmental center—local government at least—with the formation of Austin County and designation of San Felipe as its county seat. The Texas government, however, did not return, and within a decade the county government moved to Bellville. San Felipe remained a small rural community into the 20th century, taking more than 150 years to again reach the population level of the town in 1836. 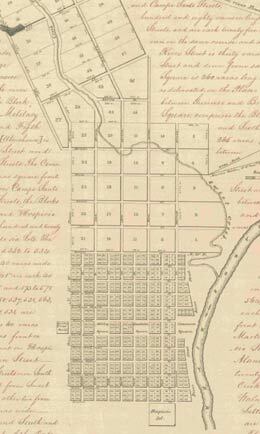 Learn more about San Felipe de Austin at the Texas Historical Commission's website for more detailed history and a 3D Map tour of the original town plat.